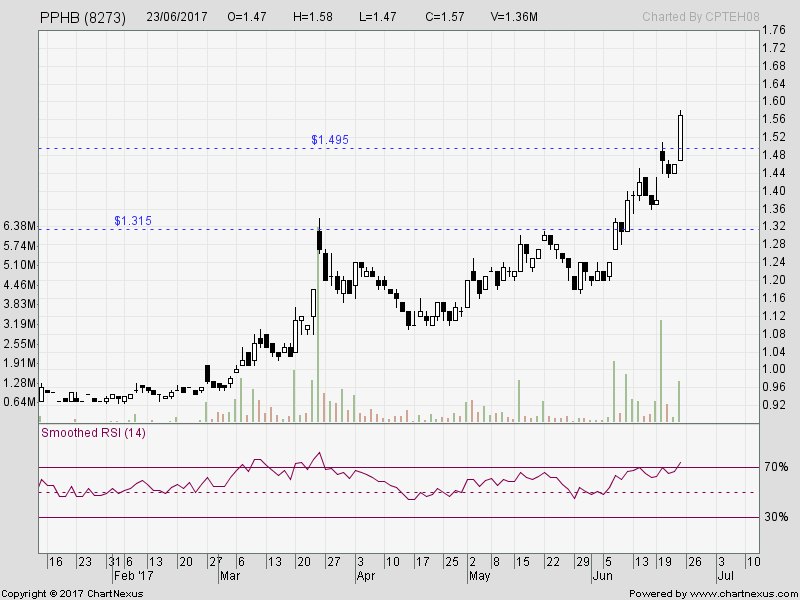 PPHB : breakout again ... last Friday. I took a bigger-than-usual position ... and sold some this morning. Phew ... now, will hold the other portion up ... and applying the 10-day-low exit system . 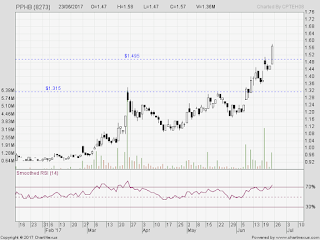 To join my trading group, to take trades together ... contact me at cpteh@yahoo.com or watsapp/sms at 012-821 0129. Trading Workshop : As I will be free for another month before tuition classes resume, there is a few request to have a one-day workshop, which I have had for past 24 cohorts. So ... contact me for those wish to attend my 'cheap' and 'ah-pek' style of workshop. cohort 25 : Planning mid-July ... 3rd weekend. All the writings in this weblog are mainly for PLEASURE reading purposes. I am in NO position to recommend a call(BUY/SELL). Please check with those know-hows before you make a decision. I have nine years of experiences in KLSE. Those interested to join my trading groups to learn trading , please contact me.